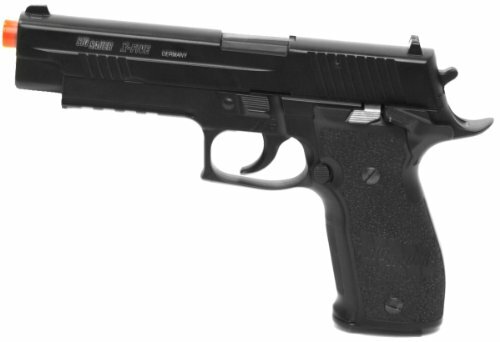 This gas-powered blowback pistol is comes from SIG Sauer’s well acclaimed line of airsoft guns. The design of the original was focused on accuracy as this is a long-barrel pistol. A proper lock between the slide and the barrel assembly was a key factor in the original that has been transferred to this airsoft version well. Standard from the factory you’ll find an integrated manual safety and an included 12-round magazine. Field stripping is simple and requires no tools. US versions of this airsoft gun always come equipped with the orange safety tip.